You are here: Home / Our Blog / Uncategorized / Win a gaming system of YOUR choice and a car detailing for DAD! 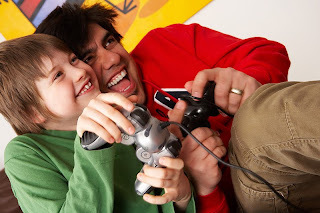 Win a gaming system of YOUR choice and a car detailing for DAD! At Childers Orthodontics, we truly love our dads. To show our appreciation for all of the amazing dads who visit our office, we are currently hosting a Father’s Day Contest. The contest winner will be awarded a gaming system of their choice, while dad will receive a car detailing. To enter our contest, simply post a picture of you and your dad on Facebook and finish this sentence: My Dad is the COOLEST because ______! The patient whose photo receives the most likes between May 2 and May 31 at 4pm will WIN! You must be a patient to enter, but anyone can vote. https://childersbraces.com/wp-content/uploads/2011/05/joystick.jpg 640 960 DrCAdmin https://childersbraces.com/wp-content/uploads/2016/10/logo-childers-orthodontics.png DrCAdmin2011-05-17 19:13:002019-03-08 07:27:54Win a gaming system of YOUR choice and a car detailing for DAD! May is National Physical Fitness and Sports Month! At Childers Orthodontics, happy smiles are our specialty!